Pig Tales by Iggy Oink – 72 – Iggy Oink would like you to think about the life of a breeding sow for just a few moments. 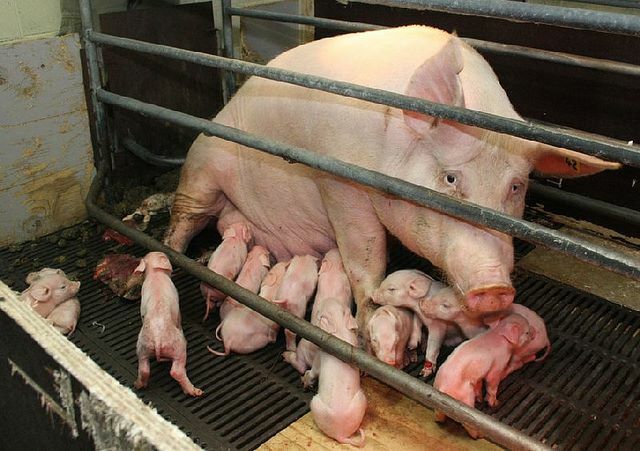 Most sows are confined in gestation crates for about 5 years. The length of time it takes to totally deplete their bodies. 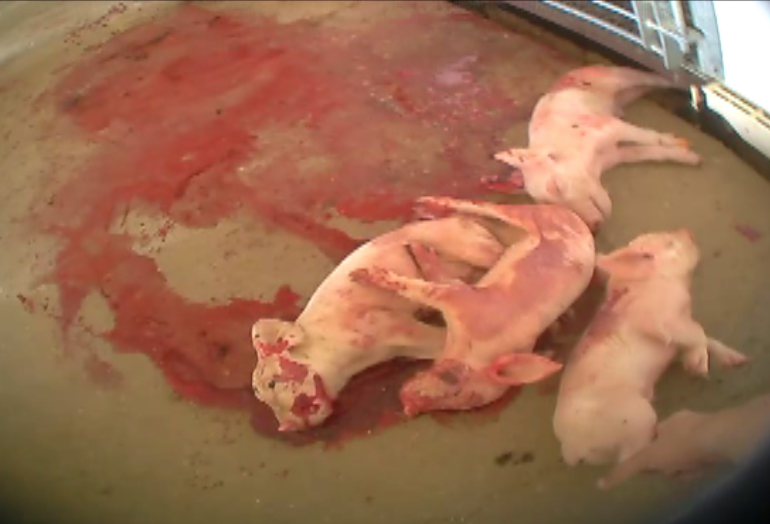 They are then backed out of the crate – put of a truck – and send to slaughter. Imagine if someone wheeled in a coffin – stood it on end and then forced you to live in it for the next five years. If you are a woman you are artificially inseminated – probably 5 times – your child is taken from you at birth. If your child is sub-standard – determined by some artificial measurement of likely growth – it is killed immediately – probably right in front of you. You are impregnated again at the first opportunity. Once you can take it no more – it’s off to the kill chute for you! Why Are You Party To This Appalling Suffering? Why you are eating us in the first place when we are such wonderful beings! How Can You Hurt Us? But They Did Have A Beating Heart And A Will To Live!